Wits University has called all students, staff and workers to submit proposals about how to restructure the funding of education. WITS University is encouraging staff, students and workers to come forward with ideas to develop proposals for funding higher education to submit to the presidency. 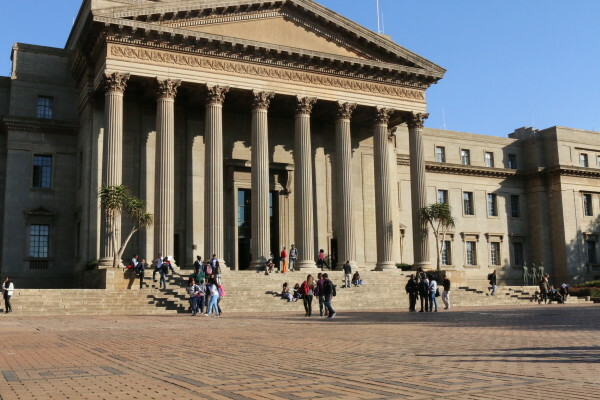 “We need as many voices to come forward as possible, otherwise the recommendation will not be legitimate,” said Hlonipha Mokoena of Wits Institute for Social and Economic Research and chair of the panel of professors who will be reviewing the proposals. Mokoena said that people are reluctant to come forward because they think that proposals need to be detailed or long. Instead, almost any proposals are acceptable even as short as “two sentences”. There is no specific format for the proposals and anonymous proposals will also be accepted, given that anonymity is not used to “stand against the founding values of the university”. Mokoena told Wits Vuvuzela that is important for all stakeholders to understand that the process is not a competition and all proposals will be carefully reviewed. Once all the proposals are submitted they will be sent to a panel. The panel will summarise the ideas and put together a proposal that will be given to Vice Chancellor Adam Habib as a recommendation for review. He will then decide whether to submit it to the Presidency’s Commission of Inquiry into Higher Education Funding. The commission was started in the aftermath of the #FeesMustFall protests last year. Mokoena has invited people to submit more innovative proposals. The proposals that have been received so far can be split into “two broad categories,” said Mokoena. The first category takes on a budgetary approach that appeals to the state to reallocate funds to meet the needs of the education sector, this involves suggestions such as cutting travel expenditure from ministers to fund education. The second approach focuses on identifying and funding individual students. There are suggestions that this can be done through setting fixed interest rates or creating new repayment structures. “We need more proposals,” said Mokoena. Proposals can be submitted in paper or presented to the panel in sittings that will be hosted at the different university campuses. The third week of presentations will take place on May 5 at Chalsty Centre on West Campus. There is no registration process for those wishing to present, neither is there a limitation on the length of presentations and proposals. The panel mainly asks questions of clarification and has requested that all submissions stand clear on their assumptions and values. “The genius is the person who will tell us how to grow the pie,” said Mokoena while speaking on the kind of solutions that the panel hopes to receive from the submissions. Some of the proposals include an assumption that there is an “agreement between all universities” on the issue of funding. However, universities in South Africa are autonomous of one another. Mokena said the university was looking for more variety in proposals including ones that are “value driven” and not just based in numbers.